Of course, E-commerce development in India has assumed huge significance in the contemporary business world. It has facilitated mercantile units and end-customers to smash the barricade of time and distance to buy, sell and conduct business. E-commerce has made the complete humanity look too petite. Vendors are coming online and are searching for safe and supple way of marketing their commodities. Ecommerce has facilitated people to shop online effortlessly and with added security. ASP IT SOLUTIONS offers ecommerce solutions in Jaipur with complete front-end and backend development. Our shopping cart solutions include catalog, inventory & stock management, vendor management, discount & gift vouchers, shipping and tax management, order processing & client management. We also provide complete reporting options with our ecommerce solutions in Jaipur that offer you a clear vision on your sales, profit and loss, best-seller, key patrons etc. We make all feasible attempts to certify your clients feel secure and cozy shopping experience on your website. We offer reliable ecommerce services in Jaipur along with payment gateway integration and SSL encryption. We provide cost-effective and dynamic ecommerce website development & ecommerce shopping cart solutions, tailored to our client’s requests. A professionally developed ecommerce website developed by us will facilitate your company to vend your goods and products in online world. Usually ecommerce development in Jaipur is costly but we offer budget ecommerce services in Jaipur with complete safety and reliability. 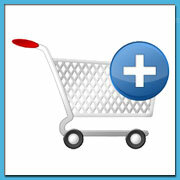 To get a cost-effective ecommerce development quote from us, please email us at [email protected].